Luka Chuppi song Photo: Bollywood actors Kartik Aaryan and Kriti Sanon are all set to hit the screens with their upcoming film Luka Chuppi on March 1. To raise excitement for the film, the makers have released a new song titled Photo. Along with Kartik Aaryan and Kriti Sanon, the film also stars actors like Aparshakti Khurrana and Pankaj Tripathi. The romantic track is already winning hearts on social media. 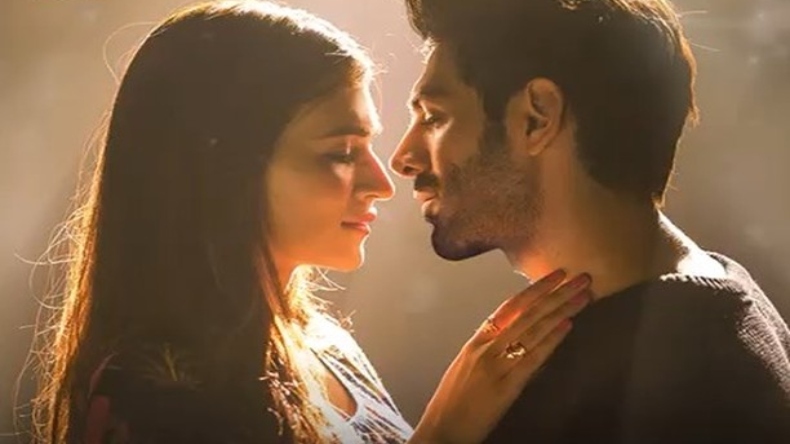 Bollywood actors Kartik Aaryan and Kriti Sanon have a perfect Valentine’s Day gift for all those who are eagerly waiting for their upcoming film Luka Chuppi. After releasing songs like Poster Lagwa Do and Coca Cola, the makers of the film have released a new song of the film titled Photo. The song is the original composition of Karan Sehmbi and has been recreated by Tanishk Bagchi. Featuring heartwarming chemistry between the leading duo, Photo is sure to tug your heartstrings in the season of love and emerge as the romantic chartbuster of the year. Released just sometime back, the song is already winning hearts on social media and garnering praises from music lovers. Helmed by Laxman Utekar and bankrolled by T-Series and Maddock Films, Luka Chuppi also stars a bunch of talented actors like Aparshakti Khurrana and Pankaj Tripathi. In the past, Maddock films has produced blockbuster films like Stree and Hindi Medium in the recent past. Slated for a theatrical release on March 1, Luka Chuppi will clash with Sonchiriya at the box office. Touted as a dacoit drama, the film stars actors like Sushant Singh Rajput and Bhumi Pednekar. Post Luka Chuppi, Kartik Aaryan will be seen in upcoming films like Hindi remake of Kirik Party and Pati Patni Aur Woh while Kriti will be seen in films like Panipat and Arjun Patiala.